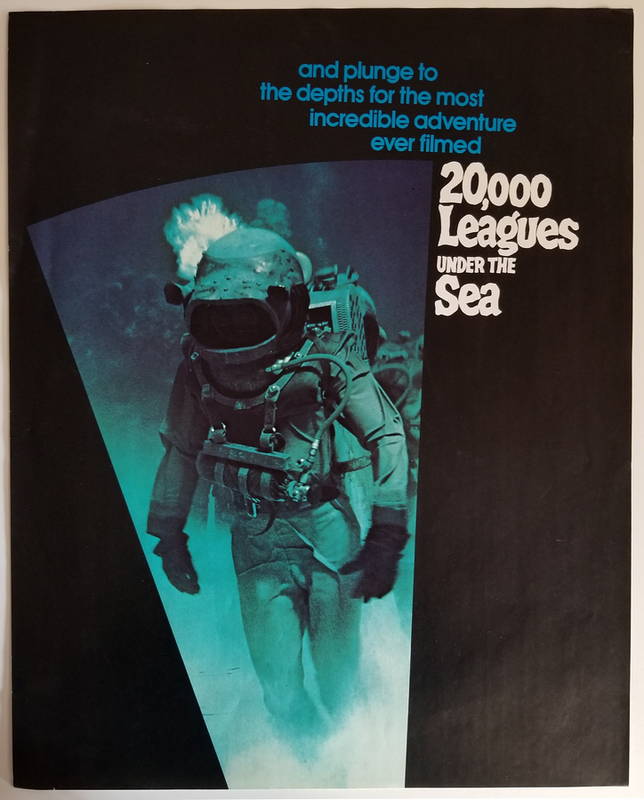 This is a 23" x 18.5" promotional poster for the Walt Disney Studios feature film, 20,000 Leagues Under the Sea. This may be from a 1970s re-release of the film, based on the other posters it came in with. It is in excellent condition and will ship rolled.